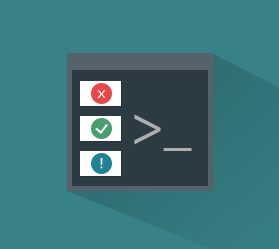 Recently we have reviewed the Advanced Permissions extensions, and today our post is dedicated to another important tool designed to improve backend management – Amasty Admin Actions Log for Magento 2 and 1. After installing this module, you will always stay aware of all actions your admin team performs in the backend. The extension tracks all changes, as well as keeps a detailed log of everything completed in the admin. Additionally, Admin Actions Log provides the ability to track all backend login attempts so that you increase chances to protect your ecommerce storefront from hacker attacks. Page visits are gathered in a history section. 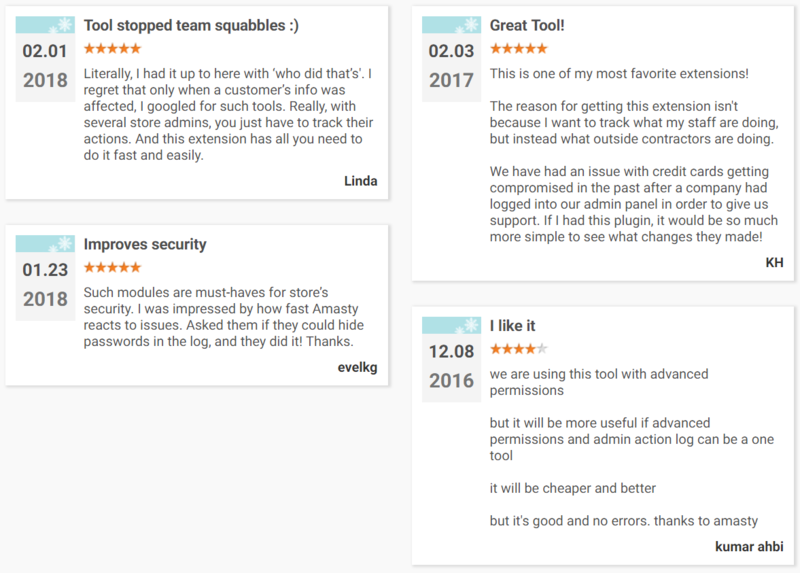 Below, we describe how you can track admin performance with the help of Amasty Admin Actions Log for Magento 2 and 1 in more details. First of all, you can do it by logging actions of specific store managers. For instance, you’ve just hired a new manager and want to control how he or she works. There is no need to watch over all your staff members since Admin Actions Log lets you see how selected admins work. Alternatively, you can track the performance of all backend managers. As we’ve just mentioned above, it is possible to track admin users’ actions in a real-time mode. Just use the ‘Active sessions’ option, and you will be able to terminate any session if necessary. 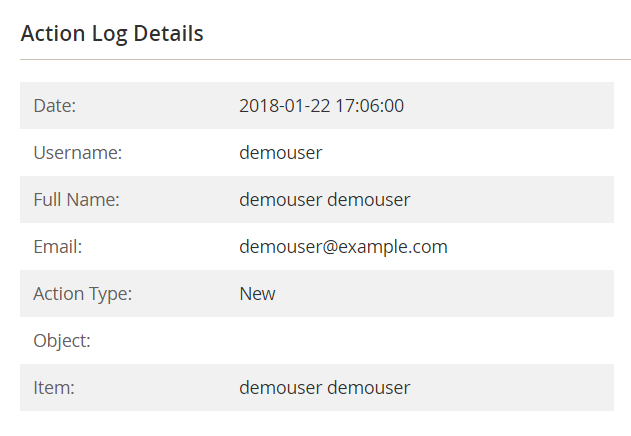 Another essential feature of the extension is the ability to keep your log records clean: Amasty Admin Actions Log for Magento 2 and 1 allows you to specify how long all your records should be stored (including login attempts and page history log). Moreover, for more detailed information, you can always rely on the ‘History of Changes’ tab which covers product, order, and customer info pages and changes performed by your admins there. If someone performs incorrect actions, the extension lets you restore recent changes. As for admin comments from order info pages, they are displayed in the admin actions tab. It is also necessary to mention that you can quickly preview various details right from the Login Attempts grid. The extension provides a preview window that illustrates brief information about changes. Also, to get more details about each action, use the ‘View details’ link. Note that all information about admin role changes is displayed in the actions log tab automatically, so you don’t have to worry about unauthorized activities. It is also necessary to say a few more words about monitoring login attempts. All information is available in a special grid. Furthermore, Amasty Admin Actions Log for Magento 2 and 1 displays even login geolocation, including country and city for each backend login action. As for additional features, it is the ability to export data as CSV or XML files. Besides, there is a notification system that informs about failed or suspicious login attempts. Each unusual activity becomes a reason to send a notification. Even if your admin gets logged in from a new country, the module will notify you. Besides, to take complete control over login attempts, the extension provides the ability to enable email notifications for successful ones. Let’s see how all these features are implemented in the backend. Under Stores -> Settings -> Configuration -> Amasty Extensions -> Admin Actions Log, you will find all extension settings divided into 6 sections: Log Settings, Geolocation, Restore Settings, Email Successful Logins To Admin, Email Unsuccessful Logins To Admin, and Email Suspicious Logins To Admin. 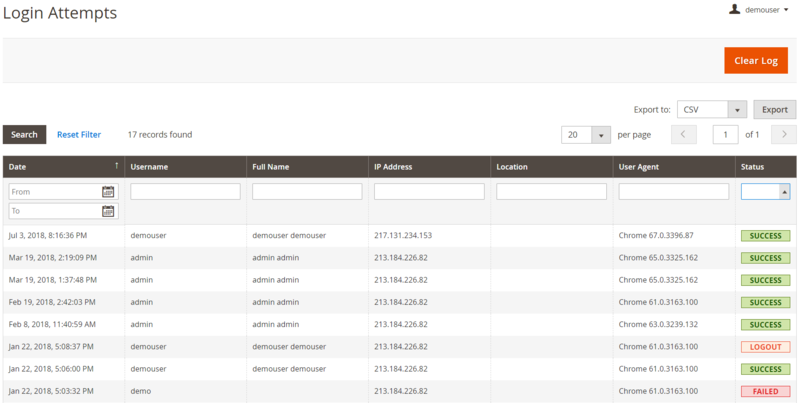 In Log Settings, you can enable/disable page visit history and logging actions for all admin users. Besides, you specify a period after each log (actions, login attempts, and page history) is cleaned. In Geolocation, enable/disable the usage of the Geo IP feature. In Restore Settings, enter a popup warning text. 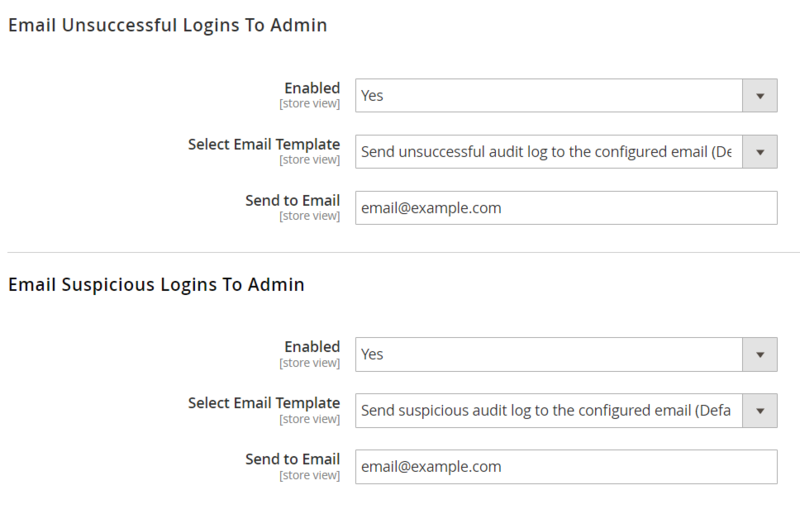 In Email Successful Logins To Admin, you can enable/disable the feature, select an email template for it, and specify the address of a recipient. 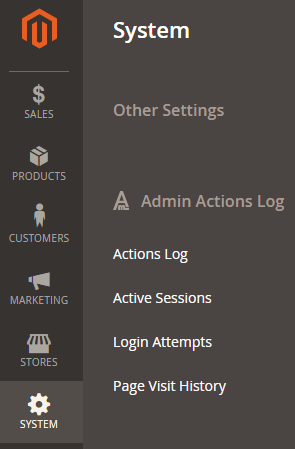 Now, when Amasty Admin Actions Log for Magento 2 and 1 is configured, let’s have a look at its functionality. Go to System -> Other Settings -> Admin Actions Log -> Actions Log/Active Sessions/Login Attempts/Page Visit History. Action (Preview, Changes, or View Details). Actions (you can terminate the session here). Now the passwords in the log are hidden under asterisks. New admin users’ actions are logged automatically now. Emails can be sent to multiple recipients now. Access Control list was added. New feature: enable/disable termination for all previous sessions of an admin user who logs in. New feature: failed login attempts for the same username or IP are displayed in one line on the Login Attempts grid. Logging of related, cross-sell, and upsell products was added. Logging of product categories and websites was added. The Login Attempts grid gets improvements: User Agent column; Disabled status. 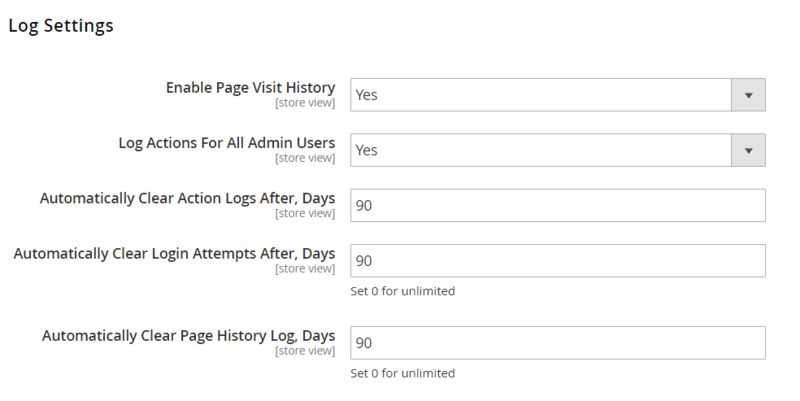 New feature: page visit log is displayed for each admin user. Automatic clean-up of login attempts log after the specified period is possible now. Logouts can be tracked in the Login Attempts log now. New logged events added: change of user roles and commenting on orders. Date and time filter was added to the Login Attempts grid. New feature: export of the Login Attempts grid in a CSV or XML file. GeoIP location support was implemented for detection of a city/country from where login was made. Possibilities to send admin email notifications on a break-in attempt and successful login from an unusual country were added. If you want to get a deep insight into the way your backend administrators work, pay attention to Amasty Admin Actions Log for Magento 2 and 1. This is one of the best tools for monitoring backend activities. 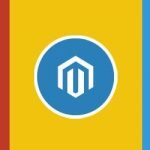 As for the price, its Magento 2 version costs $229, while Magento 1 module is just $169.